When your dinner guests say your hospitality was out of this world, they'll really mean it. 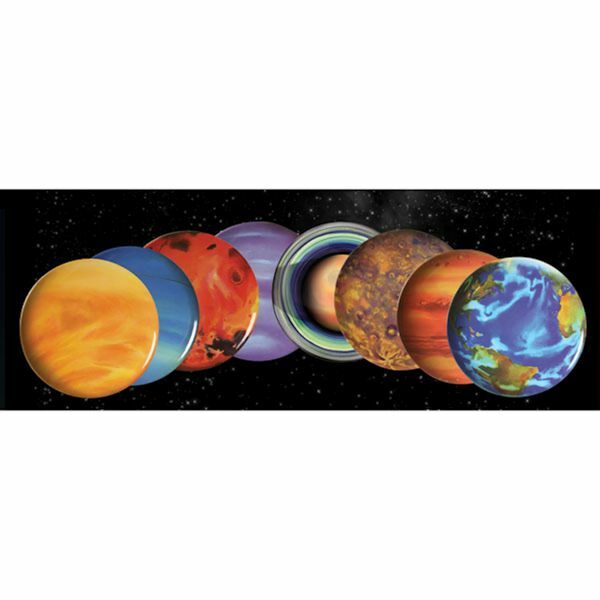 Eight colorful planet plates (sorry, Pluto) offer up the features of Mercury, Venus, Earth, Mars, Jupiter, Saturn, Uranus, and Neptune, creating a galaxy of possibilities for buffet or table settings. Dishwasher safe. Melamine. Imported. 10" dia.